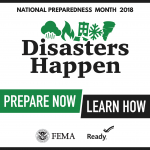 National Preparedness Month provides the opportunity to educate and create awareness for all of us to ensure that not only ourselves but our families as well are prepared throughout the year in case an emergency occurs. This years theme is: Disasters Happen. Prepare Now. Learn How. 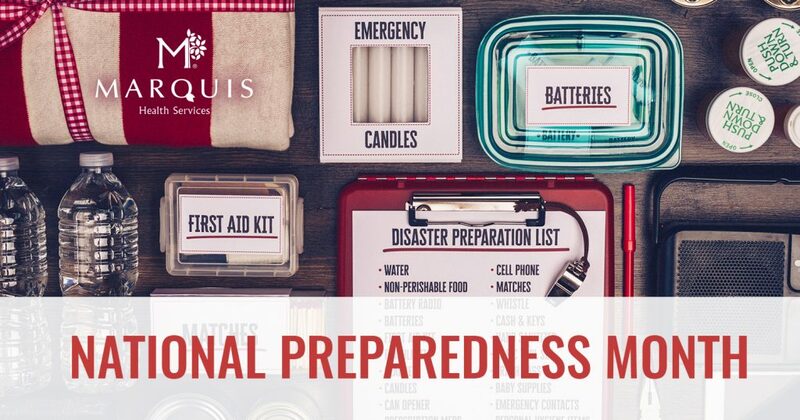 The first way you can prepare is by creating a plan for your family. It is important to know the types of disasters that could affect your area. It is also important to recognize that you may not be together with your family when disaster strikes, this is why it is important to establish a family meeting place that’s familiar and easy to find.